Mighty House Construction’s mission is to offer innovative, sustainable building solutions at an outstanding value. 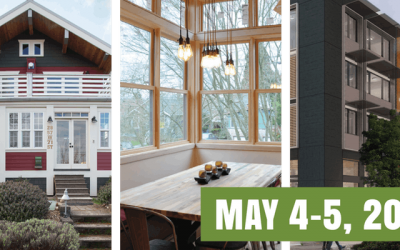 Guided by the following core principles, we aim to set the standard for exceptional building practices, outstanding solutions to your needs, and excellent customer satisfaction throughout the Greater Seattle area. We’ve built our reputation on keeping our promises and maintaining the highest standards of honesty, dependability, and professionalism. Whether we’re renovating your entire house or simply reinvigorating a worn out room or deck, we believe in providing a high quality service for reasonable value. The Mighty House team is quite experienced and will bring creative, innovative solutions to your home. We will not create busy work or try to sell you on ideas that we don’t honestly feel are appropriate to your home and your needs. Rather, you can count on a job well done, on time, and within budget. Our experience not only shines through in the exceptional quality of our own work but in the exacting standards we demand from all subcontractors working on your project. Whether it’s working with an architect or designing the project on the fly with the client, we have the ability to see beyond the “need” and create innovative solutions that allow individuals and families to live, work, and play better in their home. We believe that the baseline of all successful building projects lies in continuous and thorough communication. From conception to completion, we take the time to understand your expectations and provide solutions that are aesthetically pleasing, reasonable, creative, and make the most of your time and money within the confines of your needs. Our job isn’t finished until you are completely satisfied. 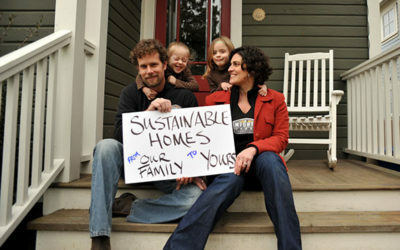 At Mighty House we believe that sustainable building practices should be a part of every building project – period. However we look at sustainability from a whole life perspective; how you use your home and financial considerations are just as important as green building products, energy conservation, and space functionality. It is important to us to build fabulous, useful, and healthy indoor and outdoor environments that tread lightly on the planet without the guilt or financial burden. We can’t believe a whole decade has passed! Doug, Laura, and the whole Mighty House team look forward to the next 10 years of creating small and large shifts that improve how families live, play, and grow in their home. Want to join us in making a difference? 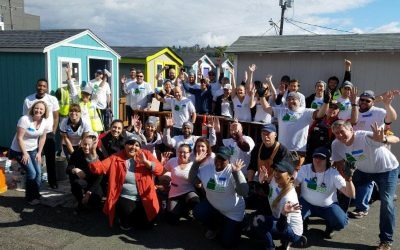 LIHI needs your help to develop new Tiny House Villages and provide enhanced services for our clients and residents. Connection to housing and access to mental health and behavioral health resources are incredibly important, and your donation can go a long way to supporting our communities!